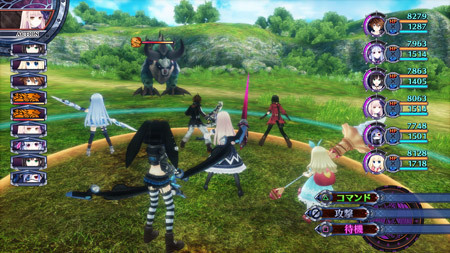 We have already seen Fairy Fencer F appear on both PlayStation 3 and more recently, Steam. Those of you who are enjoying it and want more, Compile Heart has you covered with their expanded edition of the game. Now called Fairy Fencer F: Advent Dark Force, Compile Heart have revealed some information on some of the new additions to the game. Advent Dark Force will feature a branching story based on the player’s actions throughout certain parts of the game. The story can now branch into three separate chapters called “Goddess Chapter”, “Evil God Chapter” and the “Devil Chapter”. Some improvements are also being made to the battle system. Instead of going into battle with a party of three, you can bring up to six characters with you. There will also be a difficulty select for players who want a more relaxed experience or a more challenging one. Advent Dark Force is said to come out on November 5th in Japan for the PlayStation 4.